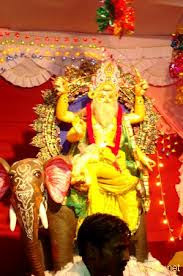 Vishwakarma Puja will diong on 23 February Every Year. The festival of the God of Architecture and engineering, Biswakarma, is celebrated in September by industrial houses, artists, craftsmen, and weavers. According to mythology it is he who created the entire universe as well as the heaven and the earth. Bishwakarma is also credited for creating the missiles used in the mythological era, including the Vajra the sacred weapon of Lord Indra, from the bones of sage Dadhichi. He is regarded as the supreme worker, the very essence of excellence and quality in craftsmanship. 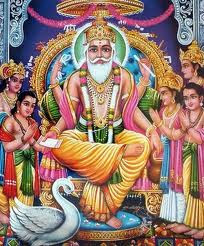 This is the puja of Lord Vishwakarma, the main architect of the universe who had fabricated the universe as per the direction of Brahma, the lord of creation. 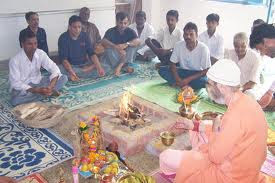 Vishwakarma Puja is celebrated by all industrial houses, artists, craftsman and weavers. The festival is observed on the Kanya Sankranti Day (September) which follows the Ganesh Puja. 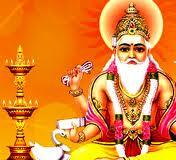 This festival of Vishwakarma Puja is celebrated with full enthusiasm. It is observed mostly in workshops, offices and factories in the industrial areas. Shop floors in various factories wear a festive look on thisoccasion. The images and idols of Lord Vishwakarma and his faithful elephant are inaugurated and worshipped in beautifully decorated pandals. The industrial towns in urban area come alive with decorative pandals and loudspeakers. Most factories around the area declare the annual bonus on this day. The puja pandals are usually made within the factory premises. On this day family members of the employees come together to create a bright moment in an otherwise dull and mundane workshop. The rituals are followed by the distribution of "prasad". The yearly feast is cooked and the workmen and the owners take their lunch together. People are also seen flying multicolor kites. The sky fills up with all shades and colours. Chadials, Mombattis, Chowrangees, Petkattas, Mayurpankhis, Baggas fly high to establish the skills of the fliers. The sky becomes a war zone with the discarded kites dropping every now and then with the cry of "Bho-Kattaaa" from the distant roofs or parks. In Hindu religious texts, he is known as 'Devashilpi' or 'The Architect of Gods'. His mother’s name was Yogasiddha and sister was known as Brihaspati. His father was called Prabhas, the eighth hermit of the legendary Astam Basu. According to mythology, it is Lord Vishwakarma who not only made the universe but also the earth and heaven. It is said that Vishwakarma also created the weapons used in mythological times like the Vajra made from the bones of Dadhichi sage used by Lord Indra. LordVishwakarma is considered to be the best worker, the symbol of quality and excellence in craftsmanship. Mythology describes some of Vishwakarma’s creations in vivid details. They include the mythical town of Dwarka, the capital of Lord Krishna. It is also aid thatVishwakarma built the town of Hastinapur, the capital of Pandavas and Kauravas.Vishwakarma also built the town of Indraprastha for the Pandavas. Most important of all creations is Vishwakarma’s "Sone ki Lanka" where demon king Ravana lived and ruled. Lord Vishwakarma is the divine architect of the whole universe. He has four hands, carrying a water-pot, a book, a noose and craftsman's tools.